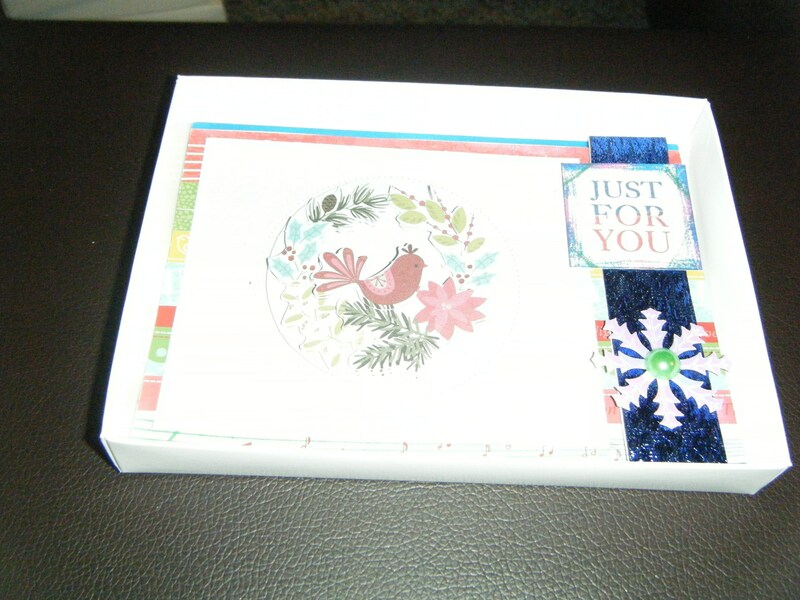 Various Backing Paper And Card Ribbon And Snowflake With Gem. Decoupage Design Is Bird In Christmas Wreath. Card Size 16 x 11cm. Left Blank For Your Own Message Inside.